The latest acclaimed Pixar movie, Coco tells the story of a young Mexican boy whose family tries to suppress his love of music; on the Day of the Dead he inadvertently crosses over into the spirit world and must then fight to make his way back. A lot of Pixar’s films are held in very high regard and this one is no exception; it’s bound to win a load of awards and be charming viewers for many years to come. Mexican music is so flavourful and vibrant, it has inspired numerous great film scores over the years, from Alex North’s masterpiece Viva Zapata! through to more recent works like Elliot Goldenthal’s excellent Frida. This, coupled with the fact that music is absolutely central to the story of Coco, meant this film presented a great opportunity for any composer. 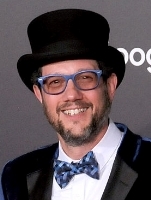 For some reason it took a long time for the composer to be announced, but it was no surprise when it turned out to be Michael Giacchino, who has built up such a strong relationship with Pixar over the years; given the incredible run of form he has been on, it is even less of a surprise that his score has turned out to be so good. The colour and excitement of Mexico is present throughout, and of course there are various dramatic, emotional arcs in the film which are represented within the score too. The opening pair of tracks, “Will He Shoemaker?” and “Shrine and Dash”, represent each of these sides, with guitars and trumpets providing a flamenco flavour but later the composer slowing the pace and offering some tender feelings. There are various themes and motifs which run throughout the score but one stands out above the others – introduced in that opening cue, it’s a vibrant melody, full of life, and it’s a malleable piece so despite its frequent appearances it never wears out its welcome. The score’s pivotal moment, the emotional core of the whole thing, comes in the outstanding “Crossing the Marigold Bridge”. Marimba and guitars accompany the strings in the gentle opening to the cue before the trumpets come together and the orchestra swells – hopeful and optimistic, it’s just a gorgeous piece of music. It’s built on a hell of a melody, too – a real standout track from 2017 and indeed the composer’s career as a whole. The melody does make a couple of returns much later in the score, but this piece is where the power lies. There are some truly magical touches elsewhere, too. There is a real sense of humour in the delightful “The Skeleton Key to Escape”, carried for a long time by just guitar before some accompaniment joins in. Near the end of the cue, it’s turned into a full-blown bit of action (with a huge brassy crescendo) – still with the unmistakable south-of-the-border flavour. And the following cue, “The Newbie Skeleton Walk”, is just a joy – its festival atmosphere (it sounds like it could actually be source music) is so joyous. There are various other cues in a similar vein later on – “Fiesta Espectacular” and “Fiesta con de la Cruz” certainly live up to the fiesta promised by their names. As is often the case in Giacchino scores, there’s quite a lot going on, most of the time – he seems to like taking different narrative threads, giving them character of their own, and then when the film allows it he brings them together. Much of the later part of the score sees this happening, with real emotion (the lilt of “Taking Sides”, the warmth of “I Have a Great Great Grandson” which slightly recalls Tomorrowland, the outright beauty of “A Blessing and a Fessing”) mixing with action (“Cave Dwelling on the Past” is actually quite dark, “The Show Must Go On” even more so – but then it ends with the most delightful, and unexpected, heroic blast) and unsurprisingly sweeping finale covering the last three tracks of score before the excellent “Dia de los Muertos Suite” which closes things off with a fast-paced summary of the score’s highlights. ﻿﻿ Along with Giacchino’s score, the music also leans heavily on songs (the first Pixar film to do so since their first, I think). Frozen‘s Kristen Anderson-Lopez and Robert Lopez contribute the pivotal “Remember Me”, which appears in numerous guises; it won’t have the longevity of “Let it Go” but it’s a fine song; and more traditional Mexican fayre comes courtesy of Germaine Franco and Adrian Molina (the film’s screenwriter, acting here as lyricist). The songs are fine but of most interest to readers of this website will be the score, an hour of which is featured on the album and it’s a really strong one, capping another remarkable year for Giacchino. It may just be my favourite Pixar score of his yet – it has so much heart amongst the colourful drama. True, if you don’t like Mexican music then you won’t like it – but who doesn’t like Mexican music?